Eisenmann Exhaust Systems in the current BMWScene Magazine! 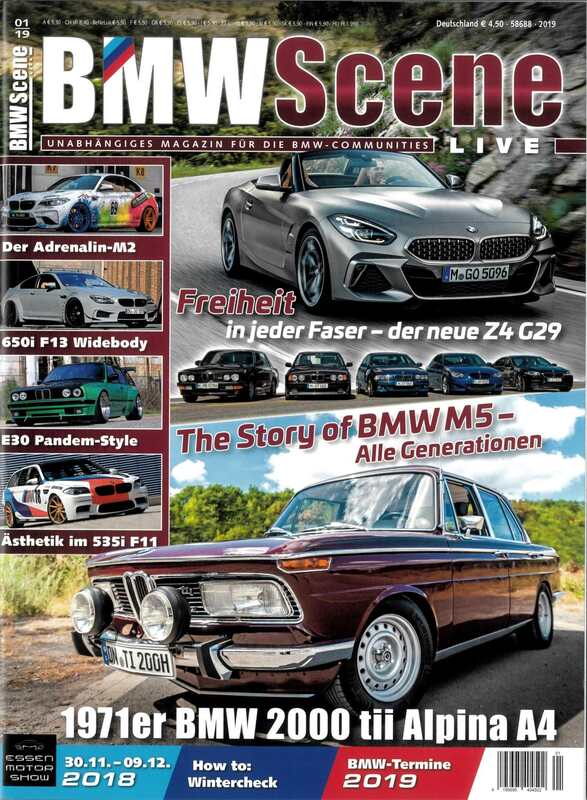 We are pleased to present our new development for the F90 M5 in the new edition of the BMWScene. The sporty sound becomes even more bass and sonorous with the Eisenmann exhaust system in all load conditions. Due to the special design of the complete system in conjunction with the electronic exhaust flap control, a performance increase is achieved over the entire speed range. The "Eisenmann" stainless steel rear silencer underlines its "shiny" appearance with tailpipes in the trend color "copper" in combination with genuine carbon outer panels. You can now find the magazine in every magazine store!